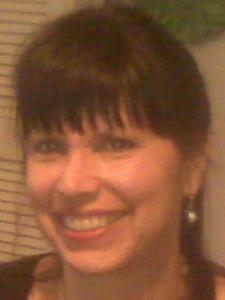 Published author and public speaker, experienced in nationally successful method of teaching reading and comprehension. I welcome children and adult music students of all levels and abilities. My goal as a teacher is to support the unique spark in each individual while helping to develop his or her knowledge and enhancing their appreciation of music. Areas of focus are performance (learning and polishing pieces), technique (developing finger control and agility), and music theory (the language of music) through creative work (improvisation and composition, including notation). Students learn scales, chord progressions and arpeggios and create and play music in all of the major keys. Classical repertoire is emphasized, with some jazzy and boogie-type pieces included. I encourage students to bring music of interest - please ask me about playing music of any style! “You found the love of music in a child and helped it grow like a garden flower. Your patience and skill have nurtured his hidden talent that we enjoy in every incredible performance. His family and friends are forever in your debt, knowing the future is bright and melodious. Rate details: New students receive half off first tuition payment. 5% sibling discount. Kate hasn’t set a schedule. I have composed, performed and recorded music for solo piano, instrumental ensemble, choir and orchestra. "The Seeker," recorded at Capitol Studios, Hollywood, won Best Instrumental Album at the 2004 Just Plain Folks Music Awards. A public speaker and performer for more than 30 years, I am able to coach the speaker on finding ease, grace and confidence in the midst of terror. Humor is helpful, too! My first degree was in English Literature. I am a published writer and I have edited both fiction and non-fiction. I have been trained and have worked as a clinician in an international reading program which emphasizes spelling and comprehension. I am also a published writer. I have tutored students in reading, spelling and comprehension. I am also a published writer. I love words! I have an A Level Certificate in English Literature. I am a published author, and I have edited fiction and articles. I have a B.A. in Music, Piano Performance. I have taught piano for over 20 years, and write and perform piano music. I have a Bachelor's Degree in Music. Studies covered Music History, Theory, Jazz, World Music, Classical Performance. I have taught note and rhythm reading since 1990. I have written songs for solo voice and choir, and have coached many in their song-writing.